Der Artikel Bobo Stenson (geb. 1944): Goodbye wurde in den Warenkorb gelegt. A new album by the Bobo Stenson Trio is always an event. There can be few contemporary jazz piano trios that draw upon such wide-ranging repertoire. “Goodbye” continues its tradition of adventurous programming, with music extending from an arrangement of Henry Purcell’s ”Music For A While”, written more than 300 years ago, to Ornette Coleman’s “Race Face”, via Stephen Sondheim’s “Send In The Clowns”. “There Comes A Time” (written by Tony Williams for the Lifetime band), “Song About Earth” by Russian actor and protest singer Vladimir Vyotsky, “Alfonsina” by Argentine composer Ariel Ramírez, and the Gordon Jenkins-penned standard “Goodbye” (once Benny Goodman’s sign-off tune, and hugely popular in the Sinatra/Nelson Riddle version), round out an inspiring programme. Bobo Stenson contributes new material, as does bassist Anders Jormin; the two of them have shared ‘musical director’ roles from the beginning of the group’s history. And there are two Paul Motian tunes, “Sudan” and “Jack of Clubs”, the latter an old favourite from the early 1980s. Paul Motian’s presence is also cause for celebration. “Goodbye” is the first recorded evidence of a musical association that has been gathering momentum over the last five years. Bobo Stenson had long admired Motian’s drumming – as would any pianist who had come of age listening to the Bill Evans Trio – and the Swedish pianist and the American drummer had met and talked on several occasions over the decades, but they had never collaborated until 2000. In the autumn of that year, English saxophonist Martin Speake brought them together for a tour of the UK and Ireland, in a quartet completed by bassist Mick Hutton. “A really wonderful tour”, Stenson says, “and Paul and I had a really good connection, becoming close friends.” After a second tour with this line-up, and an ECM recording in Oslo which awaits release, Stenson invited Motian to tour with his trio, another musically rewarding experience. Subsequently, the recording of “Goodbye” was scheduled. Realized in New York’s Avatar Studios, it is the first of Stenson’s ECM discs with an American recording location, for the pianist another plus: “Experiencing Paul Motian in his natural environment is also a great pleasure: he’s such a New Yorker.” Indeed, Motian is a New Yorker to the extent of vowing never to leave his hometown again. After being on the road for almost 60 years he now plans, he says, to spend his remaining years (may there be many) in the jazz capital of the world. As a trio drummer, Motian has few equals and he has inspired successive cutting-edge piano trios: after Bill Evans, Paul Bley’s group. After Bley, Keith Jarrett’s trio (and quartet). After Jarrett, Marilyn Crispell (see the ECM recordings “Nothing ever was, anyway”, “Amaryllis”, and “Storyteller”). And, of course, for more than two decades he has led his own unique trio, featuring the saxophone of Joe Lovano and the guitar of Bill Frisell. The Motian Trio’s newest album “I Have The Room Above Her” was released in January 2005, and widely praised. Motian’s association with ECM goes back to the beginning of the company’s history. He appeared on the third album released by the label, “Paul Bley With Gary Peacock”, released in 1970. ECM also was the first label to support Motian as bandleader and encourage him as a composer. Further recordings with the poetic and splendidly unpredictable drummer are imminent, including a trio disc with Enrico Rava and Stefano Bollani, as well as an album with his Electric BeBop Band. 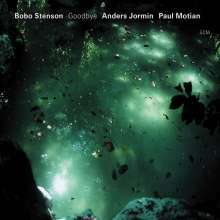 Bobo Stenson came to ECM in 1971, recording with Jan Garbarek on “Sart” , immediately impressing listeners with a style that seemed midway between McCoy Tyner and Bill Evans. The immensely popular Jan Garbarek-Bobo Stenson Quartet of the mid-70s (“Witchi-Tai-To”, “Dansere”) was formed when the saxophonist joined Stenson’s trio. Stenson has also been an important contributor to the music of other players on ECM. Closely associated with Don Cherry, he played on the trumpeter’s final disc, “Dona Nostra”. He also was for ten years Charles Lloyd’s pianist, appearing on “Fish Out of Water”, “Notes From Big Sur”, “All My Relations”, “The Call” and “Canto”, also introducing bassist Anders Jormin to the Lloyd group. Pianist and bassist also worked extensively with Tomasz Stanko in the 1990s (“Matka Joanna” and “Leosia” with both of them, “Litania” with Stenson, and “From The Green Hill” with Jormin). Bobo Stenson’s trio with Anders Jormin (originally with Jon Christensen on drums) was introduced in 1993, with the prize-winning album “Reflections”. It was followed by “War Orphans” in 1997 and by the 1999 double album “Serenity”, which also netted much positive press worldwide. Beyond his commitment to the Stenson group, Anders Jormin also records as a leader for ECM, discs including “Xieyi”, where solo bass pieces interspersed with music for brass ensemble, and “In Winds, in Light”, Jormin’s song cycle in which nature poetry is set for the voice of Lena Willemark. The “In Winds, in Light” ensemble – which also features Marilyn Crispell, organist Karin Nelson and drummer Raymond Strid – remains one of Jormin’s priorities. He also has a duo with Finnish vibraphone virtuoso Severi Pyysalo. Concurrently with “Goodbye” in several world territories, ECM releases the album “Parish”, with the band of the same name. This group, led by drummer Thomas Strønen, also features Stenson on piano, often in freely improvised settings. Bobo Stenson and Anders Jormin, with drummer Jon Fält, tour America’s East and West Coast at the beginning of November. M. Inhoffen in Audio 10 / 05: "Goodbye ist eine hochklassige Aufnahme geworden. Anders Jormin, schon auf "Serenity" dabei, spielt einen wunderbar runden, weichen Kontrabass, das Rhythmus-Netz knüpft statt Jon Christensen diesmal der unvergleichliche Paul Motion. Mit diesen Partnern und seiner Sensibilität schafft Stenson einen Trio-Sound, der so geschmeidig ist, dass er den Zuhörer in andächtiges Staunen versetzt." S. Thielmann in stereoplay 10 / 05: "Zeit und Raum scheinen aufgehoben, intimste Begegnungen entfalten eine unwider- stehliche Faszination, irisierend perlen einzelne Töne des Steinways, treffen sich mit vibrierenden Bassklängen und prasselnden Akzenten eines einzelnen Beckens. Trotz der melancholischen Grundstimmung leuchtet diese Musik still von innen heraus." Bobo Stenson war bei aller Nähe zu Evans immer ein eigenwilliger Bewohner seines Schattenreichs, ein gefährlich fragiler Piano- (und Pianissimo-)Klangpoet. Seinen Ruhm zu befördern, lag ihm nicht. Allein, wer ihm auf dem Abstieg in die Unterwelt einmal gefolgt ist, wird den dunklen Glanz kaum mehr vergessen. Stensons neue CD heißt Goodbye, nach der alten Ballade von Gordon Jenkins. ... Stenson nimmt der Sache das Pathos und lässt ihr das Gefühl. Das gilt auch für einen anderen, sich ähnlich statisch auftürmenden Torch-Song, Stephen Sondheims „Send In The Clowns“. ... Und er skizziert zwei Stücke seines Drummers. Der heißt Paul Motian, ist, seit seinen Zeiten mit Bill Evans, der Vater allen perkussiven Pointillismus, ein Meister der Auslassungen und Garant für Unvorhersehbare. Das hört sich, ist einmal eingetreten, immer an, als könnte es anders gar nicht sein. Am Bass ist Stensons langjähriger Partner Anders Jormin, ein großer „Sänger“ des Kontrabasses und sicherer Fährmann auf den unterirdischen Gewässern. Abermals ein Beispiel von ECM-Sound, wird der eine oder andere nun meinen und die Scheibe zu den übrigen legen. Zu seinem Schaden und unserem Vergnügen. Mit jedem wollen wir die Vorliebe für diesen Pianisten denn doch nicht teilen.